This week’s plunge in Apple’s shares was another sign of the impact of the relations between the US and China. It does look like President Trump’s tariffs are taking a toll and that the tensions maybe lasting. 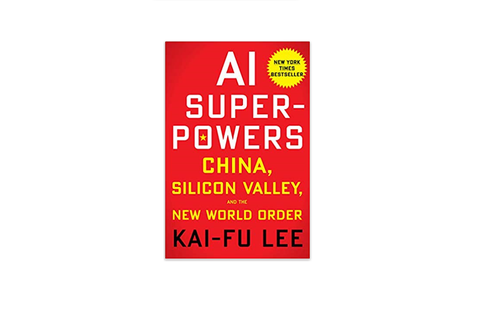 So this why Kai-Fu Lee’s book, AI Superpowers: China, Silicon Valley, and the New World Order, is so timely. He provides a detailed look at how China is poised to win one of the most important markets. Keep in mind that – according to a research report by PWC – AI is forecasted to add $15.7 trillion to global GDP by 2030. The main reason is that this technology is general purpose, having applications that span industries like healthcare, transportation, financial services, energy and so on. Some consider AI to be on par with what we saw with the revolution of electricity during the 20th century. Lee certainly has the credentials to make convincing arguments. He got his Ph.D. in computer science from Carnegie Mellon University in 1988, where he focused on AI. Lee worked on leveraging concepts like Bayesian networks for games and voice recognition. He would then move on to the corporate world. Some of the companies he worked for included Apple, Silicon Graphics, Microsoft and Google. As of now, he’s a venture capitalist with Sinovation Ventures, which is focused on AI opportunities in China. In light of this, it’s actually easy to see why China is in a strong position to benefit. After all, the ubiquity of smartphones has meant the accumulation of gigantic amounts of data. But China has also seen more usage of real-world applications, such as with bike-sharing, mobile payments and ride-hailing. Part of this has been due to massive private/public investments. But China’s willingness to be permissive with issues of privacy has been another big factor. Data is essential for AI because it is required for developing sophisticated neural networks. This makes it possible to better understand language, recognize objects or come up with useful insights. Now the US is not doomed to failure. We still have many advantages. The university system is standout and there are mega companies that are pushing innovation (Google, Microsoft, Facebook, Amazon.com and Apple). Make much more investments in homegrown STEM talent. No doubt, all these would make a difference. But unfortunately, there has been little progress on these fronts. So unless there is major change – and soon – Silicon Valley may no longer be the center of gravity in the next 10 years.